In 1976, Ralph founded The GolfWorks and has been manufacturing and distributing golf clubs, machines, gauges, tools, and supplies worldwide to golf club repair shops, golf professionals, manufacturers, custom clubmakers and do-it yourselfers. In 2006 Ralph sold The GolfWorks to Golf Galaxy. The GolfWorks is the golf industry’s most complete source for golf club components, clubmaking tools, supplies and technical information. Located in Newark, Ohio, the GolfWorks has been providing clubmakers and other golf equipment experts with a complete complement of proprietary clubhead designs, a full selection of brand name shafts and grips, fitting tools and supplies, educational material and golf accessories for 40 years. Founded by Ralph Maltby in 1976, The GolfWorks is recognized throughout the industry as the premier distributor for golf clubheads, shafts, grips, tools and supplies and for supreme golf equipment design technology. The Golfworks has the largest selection golf grips, shafts tools and supplies in the golf industry and ships product not only to all locations in the U.S., but also to countries all over the world. The Golfworks provides clubmakers, fitters and golfers a variety of catalogs each year and has the premier website for golf club components in the industry. The higher the Playability Rating of a clubhead design, the easier the club is to consistently hit. All clubhead designs offered by The GolfWorks have a Playability Factor of Ultra Game Improvement, Super Game Improvement or Game Improvement. That gives clubhead designs from The GolfWorks a quantified performance rating that no other golf equipment manufacturer can match. The Golfworks also measures the majority of the major golf equipment manufacturers iron models and lists their MPF (Maltby Playability Factor) by manufacturer and by year of release. All clubheads distributed by The GolfWorks have undergone this evaluation. Playability Factor ratings are listed alongside each head in The GolfWorks annual Clubmaker’s Catalog, and displayed on The Golfworks website and on RalphMaltby.com. The GolfWorks also is host to the finest educational programs in the industry — The GolfWorks Clubmaking Academy. 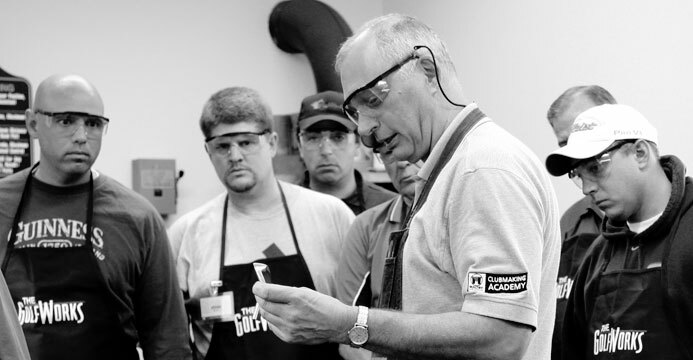 Offering up to 27 sessions throughout the year, the Clubmaking Academy attracts students from around the world and is recognized as the game’s premier golf equipment assembly, fitting and repair training center. The schedule for all schools offered at The Golfworks is listed in The Golfworks Master Clubmaking catalog and online at GolfWorks.com. The GolfWorks USA headquarters is located just 30 miles east of Columbus, Ohio, just north of I-70. The GolfWorks also operates The GolfWorks Canada in Nepean, Ontario, Canada.